Norquay Technology @ ChemBuyersGuide.com, Inc.
Norquay Technology, recently acquired by MPDChemicals, is a custom and specialty chemical manufacturer, specializing in processes ranging from lab scale to full commercial production of high quality organic intermediates and highly air and moisture sensitive advanced materials. Norquay produces organometallic, inorganic and organic molecules, including precursor metal complexes, polyolefin catalysts and ligand products, other performance materials used in photochromic, electrochromic, thermochromic, medical device adhesive applications as well as dyes and coating materials. 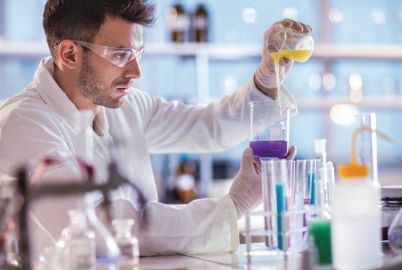 Focused on operational excellence, our combined strength in both chemical engineering and chemistry ensures the safe, reliable, and quality manufacturing of hard to source molecules. We specialize in the production of advanced materials including highly air and moisture sensitive organometallic, inorganic and organic molecules.